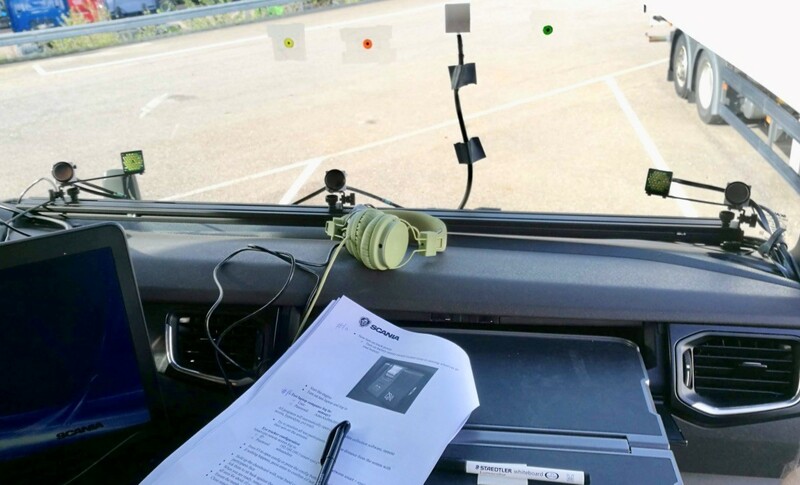 These days Scania is carrying out stage 2 data collections in Use Case A. About 30 drivers will join the passenger seat in a real truck and perform a simulated 90 minute drive while the truck is driven by a confederate driver who is blind for the experimental conditions. Some will drive for the entire 90 minutes, others will be able to rest during the first half of the drive. The aim here is to collect data for the driver states rest and emotions. Data collected include eye tracker data using SmartEye camera’s, EEG data using a Hypnodyne device worn on the forehead as well as ECG data using a Bittium ECG device. Rest will be induced by simply giving a sleep deprived participant the ability to rest, that is without simulated driving, whereas emotions will be induced with for instance music and image slide shows. 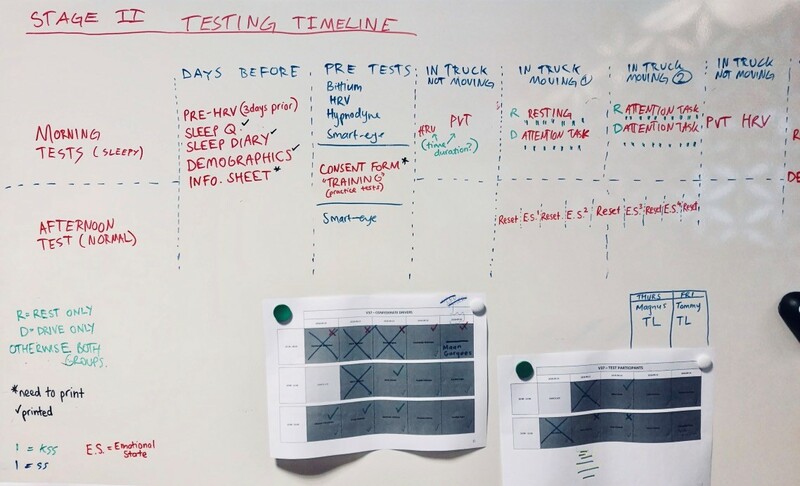 The planning for stage 2 data collection at Scania Technical Centre. 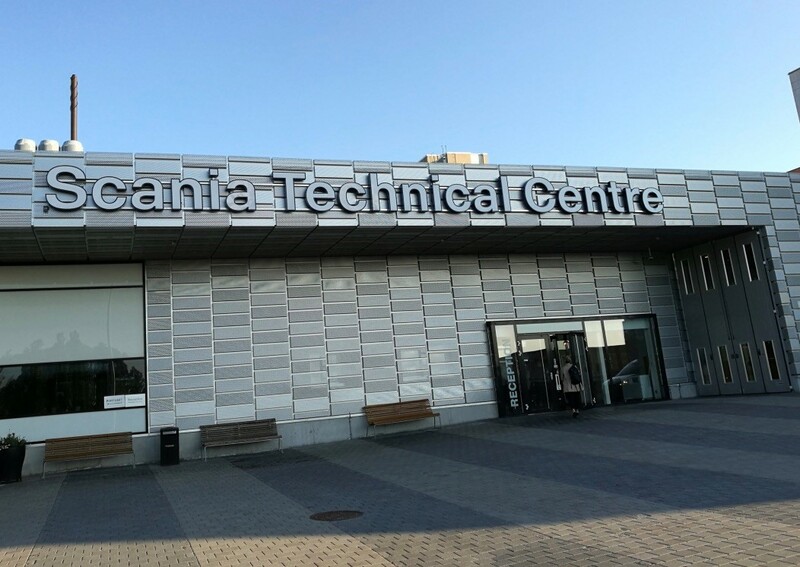 Scania Technical Centre where all the work on ADAS&ME concerning Scania is carried out.